Description：Chinese Premier Li Keqiang has called for deeper reform to inspire creativity throughout society, and make technological innovation better support and guide the development. Chinese Premier Li Keqiang has called for deeper reform to inspire creativity throughout society, and make technological innovation better support and guide the development. 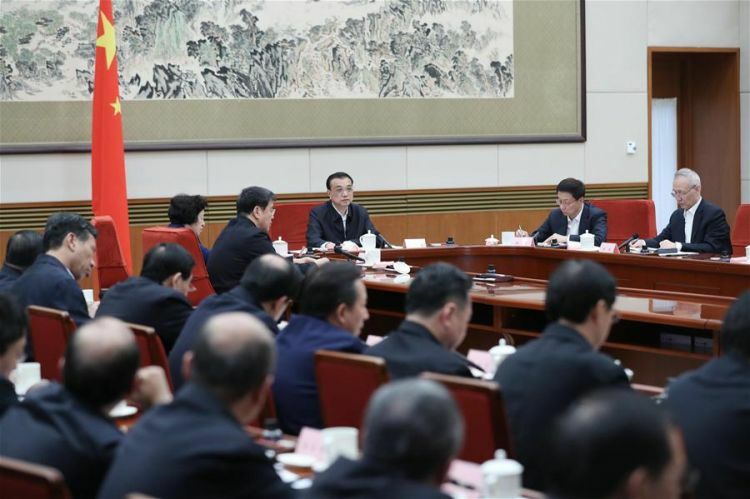 Li, also a member of the Standing Committee of the Political Bureau of the Communist Party of China (CPC) Central Committee, made the remarks at the first plenary session of the national leading group on science and technology, which he heads. Li said innovation is vital for a country's future and destiny, and China should amplify its strengths in human resources and domestic market to advance its technological innovation and facilitate high-quality development as the country is going through economic transformation and upgrading. Li called for focusing on breakthroughs in key technologies, fostering new growth drivers, and promoting technology-economy integration. He asked for deeper reform on the management system for science and technology and stronger protection of intellectual property, to create a favorable environment for innovation. Li highlighted the role of basic research as the root of the scientific system, calling for strengthened long-term and consistent support for basic research, and urging enterprises and other social forces to invest more in this field. He noted that the spirit of scientists should be promoted to encourage researchers to devote themselves to researching, adding that more opportunities should be created for young people, and an honest, rigorous and pragmatic academic atmosphere should be built. Han Zheng, another member of the Standing Committee of the Political Bureau of the CPC Central Committee, also attended the meeting.